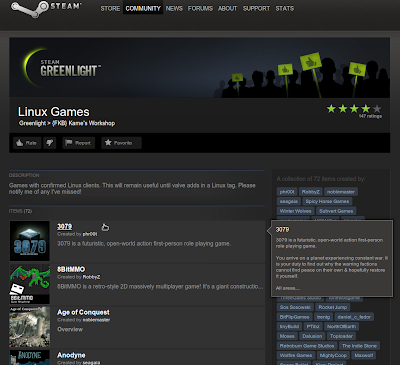 Steam Greenlight is a new system that uses community votes in picking some of the next games to be released on Steam. Developers post information, screenshots, and videos for their game and seek a critical mass of community support in order to get selected for distribution. Steam Greenlight also helps developers get feedback from potential customers and start creating an active community around their game as early in the development process as they like. 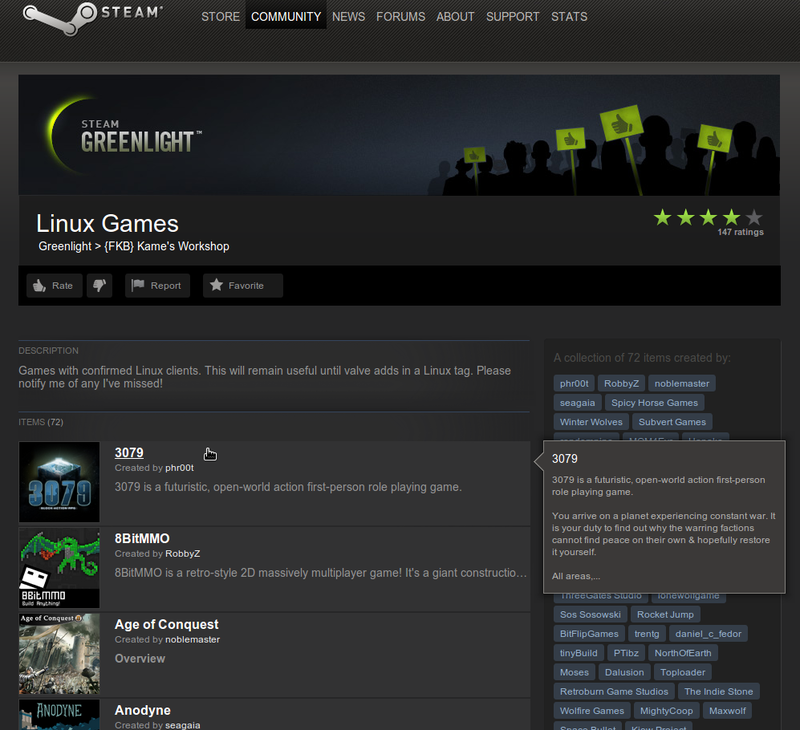 A big list of games with confirmed Linux Client has been posted on Greenlight. There are already 72 games in the list and more are being added. These games have not been added to Steam yet. However, your votes and level of interest could help them in getting into Steam catalog. So if you are a Steam member, vouch for them as there is a great chance that any accepted game will be available in Steam Linux client. Steam for Mac launched with 50 titles, let us beat that.